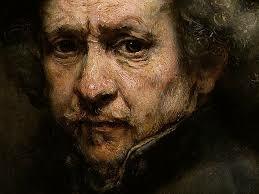 It’s Rembrandt’s 400th birthday. No wonder he looks a bit grumpy. Hey, get a real job (eg: ‘web editor’). No come to think of it, to quote Michelle, “Don’t die a web editor”!